Sorghum, an ancient cereal grain that's a staple crop in India and throughout Africa, has long been considered a safe grain alternative for people with celiac disease and gluten insensitivity. New molecular evidence confirms that sorghum is completely gluten-free, and reports that the grain provides health benefits that make it a worthy addition to any diet. Gluten is the flexible protein in common grains like wheat, barley and rye that give them a chewy, springy quality when baked into breads or pastas. Gluten triggers inflammatory reactions in people with celiac disease or gluten sensitivity that can cause abdominal pain and digestive issues, and eventually lead to joint pain and intestinal damage. For now, the only way to avoid gluten intolerance is to stick to a strict gluten-free diet. Paola Pontieri of the Institute of Genetics and Biophysics in Naples, Italy, led a team of researchers in analyzing the recently published sorghum genome in order to confirm that the grain contains no gluten proteins. Their results, published in the Journal of Agricultural and Food Chemistry, confirm that the gluten protein is absent in different varieties of sorghum. 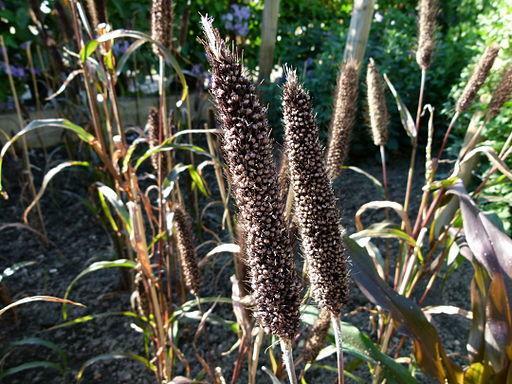 They also find a variety of other sorghum health benefits, even for people without gluten intolerance. Sorghum has high nutritional value, with high levels of unsaturated fats, protein, fiber, and minerals like phosphorus, potassium, calcium, and iron. It also has more antioxidants than blueberries and pomegranates. Recent research suggests that certain phytochemicals allow sorghum consumption to reduce the risk of colon and skin cancer more than other grains, and that other properties can promote cardiovascular health and lower cholesterol. "Food-grade sorghums should be considered as an important option for all people, especially celiac patients," their report concluded.